EBƆRƐ BE KAWƆL means “Word of God” in the Gonja language. It is what has been printed on the cover of the 2,050 Bibles that have just been published in the heart language of the Gonja people. What does it mean for them to have a printed copy of EBƆRƐ BE KAWƆL? 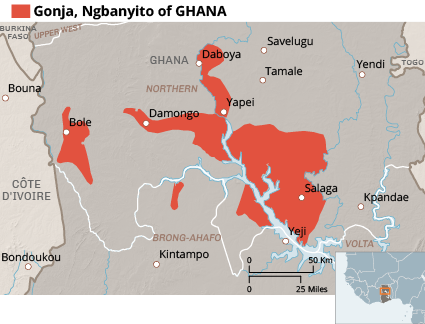 Who are the Gonja people? 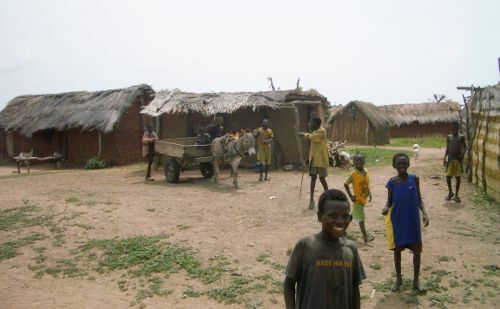 The Gonja ethnic group numbers around 288,000 people who live in the center-north of Ghana, in the grassy savannah watered by several branches of the Volta river. Even though English is the official language of Ghana, the ethnic languages such as Gonja are very widely used. There are more than fifty languages, and twelve of them are taught at the university level. Most of the Gonja understand their mother tongue much better than they do English. The Gonja people have a system of government unusual for Ghana, that harmoniously blends tribal tradition and the democracy of the state. As in the other tribes, their region is divided into districts that are governed by patriarchal lines of chiefs, who are under a king called the “YAGBOŊWURA.” The chiefs rule according to the traditional laws for local matters of property, justice, development, etc., while the Ghanaian government handles national affairs, education, infrastructure, justice, etc. The Gonja people are religious, having a rich cultural history of which they are very proud. Many (58%) follow the Muslim religion introduced in the 14th and strengthened in the 19th century. Others (38%) practice traditional animist religion. They worship Edore, their supreme being, but only address him through ancestors and various spirits of nature. Capitalism, Western education, and the Christian faith have had a strong impact in the urban regions of the Atlantic coast in the south of the country. In the rural north, where the Gonja people live, even if Islam and animism remain dominant, we see more and more people turning towards Christ. Generally speaking the coexistence of these different beliefs is fairly peaceful, but the Christians fear the infiltration of the Boko Haram militia operating in this area. Since 1996, primary school has been obligatory and free. Still, many children stop attending very early due to additional expenses. And the poorer families keep their children at home to work the fields. As a result, the literacy rate of the Gonja people is the lowest of Ghana. Many of them live a poor life as subsistence farmers or traveling from village to village to find work. The New Testament in Gonja was translated by Jeanette Zwert, a World Evangelism for Christ missionary, aided by several young Gonja Christians. It was published in 1984. Since then, several thousand Gonja people have turned to Christ from reading this Good News, and thanks to the literacy work of Abdul-Rahim Adam, a Gonja chief who converted from Islam. Since 1983, an NGO has put in place a functional literacy program and development projects among the Gonja people. These programs have clearly improved the status of many women and permitted them to improve their economic situation. In addition, parents who have learned to read are more motivated to educate their children and are better able to handle question of health, work, and agriculture. Since the New Testament dedication in 1984, the Christians were patiently waiting for the day they would have the complete Bible in their language. They knew that the writings of the Old Testament would be a bridge to their Muslim countrymen, as several passages correspond to stories in the Qur’an. In 2002, several church denominations came together to put in place a translation committee, supported by Wycliffe Hungary. 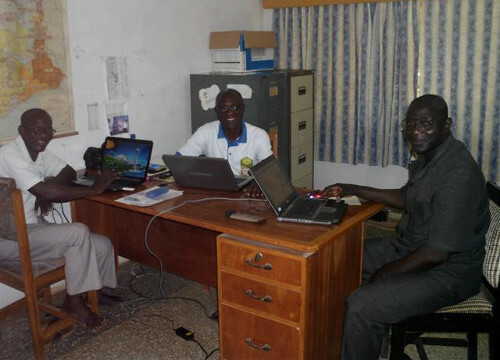 An office was opened in Buipe with two full-time translators and two parttime translators, trained by GILLBT (Ghanaian Institute of Linguistics, Literacy, and Bible Translation). The translators, AbdulRahim Adam and pastor Joseph Issahare for mer Muslims who came to Christ through reading the New Testament. The two other translators are pastor Francis Mahama and John Kipo Mahama, among the very ϐirst Christians. These four men, working faithfully for eleven years, ϐinished the translation in 2013. It then took nearly a year for proofreading and checking. During the entire process they worked with Ian Gray, translation consultant of Wycliffe, and his wife Claire. 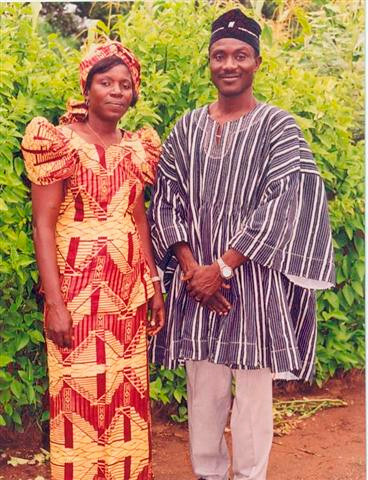 Through this Irish missionary couple, MiDi Bible was contacted in early 2013 for help to publish the Bible in Gonja. Thanks to the generous support of donors, we have been able to finance half of the publishing expense, which comes to about 26,000 Swiss Francs. After our checking the page layout of the Old and New Testaments done by GILLBT in Ghana, the Bibles have been printed at the end of August and delivered in November 2015. The dedication has just taken place on the 6th of February 2016.